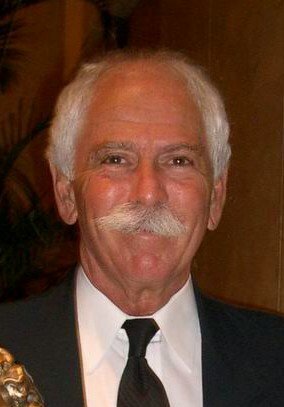 Ronald R. Sisca of Doylestown, died Sunday, May 12, 2013. He was 71. Ron was the husband of Rebecca A. Sisca. Born in Norristown, Pa., he was the son of Gabriel Anthony and Italia Marianna Marsella Sisca. Ron graduated from Norristown High School, Class of 1959 and Villanova University with a Bachelor's degree in Biology/Chemistry and was pre-med, Class of 1963. At Villanova, he participated in The Villanova Singers, Lambda Kappa Delta Fraternity and sang with The Coventry Lads (a folk group with Jim Croce). Captain Sisca was a highly experienced and professional military and civilian aviator who began his Naval aviation career at NAS Pensacola, Fla. in 1964 as an Aviation Officer Candidate, proceeding to Pre-flight, basic flight training and later to advanced flight training at NAS Corpus Christi, Texas, gaining his Naval Aviator wings in 1966. He then was assigned to a USAF transport squadron at McGuire AFB, flying C-130 aircraft worldwide until that joint UASF/USN unit was disbanded. He was later assigned as a pilot in an electronics communication squadron at NAS Patuxent, Md., until his release from active duty. Once entering the civilian airline community, Ron was a pilot with Eastern Airlines, KIWI Airlines, Zaas Airlines, and later retiring from Northwest Airlines as a Captain. Coincidental with his airline career, Ron remained in the Navy's weekend reserve component as a transport aircraft commander based at NAS Willow Grove, until his retirement from the Navy with the rank of Captain. During his reserve years, he made several transport missions to and from Vietnam. Ron's love for Bucks County and his 170-year-old farmhouse led him into a local real estate venture with Weichert Realtors (1987-2007) and Keller Williams Real Estate (2009-2013). Ron's passions included multiple roles in productions at The Town and Country Players Theater, a cantor at Our Lady of Mount Carmel Church, singing with The Country Gentlemen and various other choral groups. He enjoyed traveling the world, gourmet dining with his wife, playing with his grandchildren, gardening, photography, music, and spending time with loved ones. In addition to his wife, he is survived by his children, Kristen and her husband, John Abboud of San Diego, Calif.; Scott and his wife, Kimberly Sisca of Doylestown, and Stephanie and her husband, Jason Pojar of Boston, Mass. ; as well as his five grandchildren, Simon, Jamison, Josslyn Abboud and Brianna and Mariel Sisca. Ron is also survived by his brother, Girard and his wife, Wila Sisca of Collegeville, Pa.; sister, Valerie and her husband, Bob DiRenzo of Collegeville, Pa., and sister, Stephanie and her husband, Jerry Krause of Golden, Colo. Sister, Gabrielle Beres, is by Ron's side in heaven. Relatives and friends are invited to Ron's Funeral Mass, 11:30 a.m., Friday, May 17, in Our Lady of Mount Carmel Church, 235 East State Street, Doylestown, where the family will receive guests from 10:30 a.m., until the time of Mass. A visitation will also be held from 7 to 9 p.m., Thursday, May 16th at Reed and Steinbach Funeral Home, 2335 Lower State Road, Doylestown. Interment will follow Mass at 2 p.m. in Washington Crossing National Cemetery, 830 Highland Road, Newtown.